Coming from an agricultural back ground, there has always been a strong inclination towards village living. 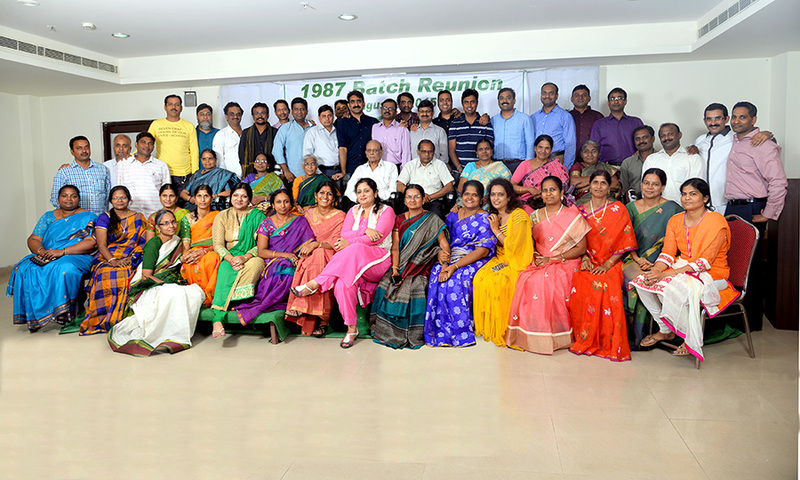 It has been a long journey from small town Hanamakonda, where I was born to being an Honours graduate of Electronics and Communications from Delhi College of Engineering. It was a significant turning point in my life. I was the chosen one by Siemens, the most sort after Digital Telecom services company during campus interviews. It was a dream come true for any individual of my thinking. Since then, there has been no looking back. It was during this time, I did get to travel more than 50 countries and that helped me understand the socio-economic conditions of various countries. There were few which inspired me to implement in my village. But I also saw how Indians abroad, did not have access to Indian TV content. Well an idea was born. 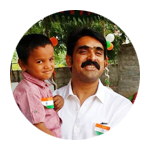 With 14yrs of experience in Telecom world, it was time for me to quit job and take my entrepreneur skills. I had an idea and it was the time I implemented. 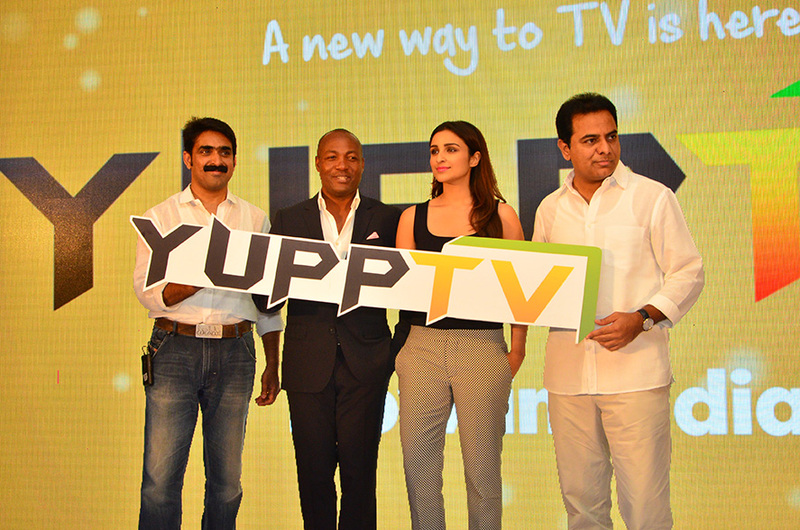 Year 2006, YuppTV was born with an intention to develop pioneering web based portal, YuppTV.com, that gave access to information, communication and entertainment anytime and anywhere. 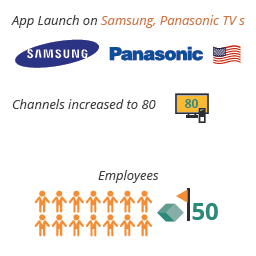 We started with two channels and today we stand as leaders in Live TV, with more than 180 Channels reaching consumers worldwide. Prior to opting to become an entrepreneur, I was with Nortel telecommunication as a director, where I headed sales for Caribbean and Latin American market. In these 14 years of experience in Business Development, I have travelled - North America, Asia Pacific, Caribbean and Latin American Markets. 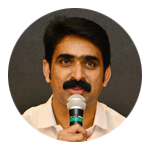 My focused experience in Telecom and Networking arena resulted in strong relationships with key players in both operator and vendor communities; and charted my career ambition to be an entrepreneur. My strengths being - Market Strategist, Respect for the potential of new technologies, and People Management. 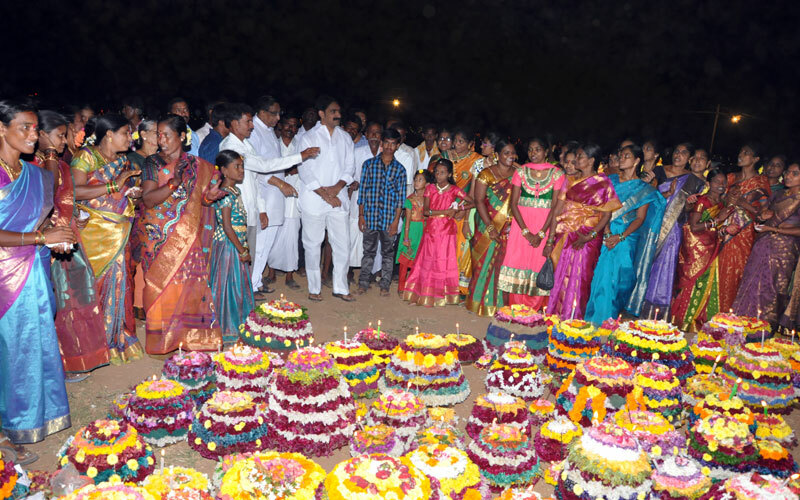 My focus on Social benefit has given a reason for the creation of Modern Village Vision – 2020. The objective of this project is to introduce technological infrastructure into villages to create awareness about education, healthcare. In turn leading to increases in per capita and decrease socio-economic disparity. 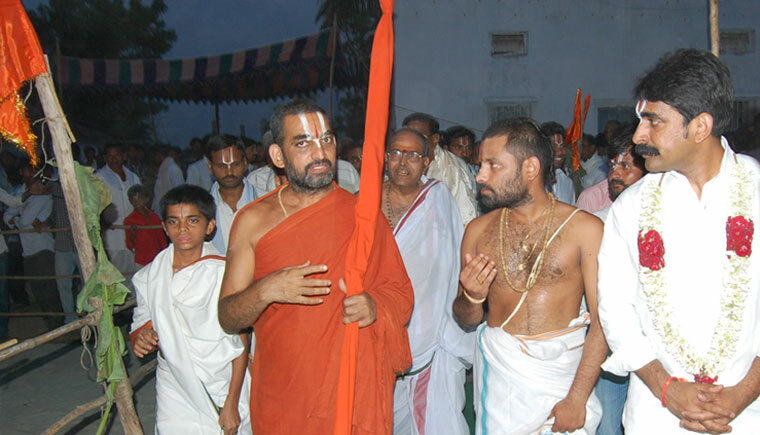 A focused attempt has already begun in Veenavanka, a village in Karimnagar District, Telangana. I had a good thing going. I had a steady well-paying job at Nortel and was looking ahead to earning a mid-career degree from the Kellogg’s School of Management. Instead, the day I was to begin classes in Fall 2006, I consulted the person who had interviewed me there, about a business plan I had, and went off to set up my own company. And the struggling days begin. Prior to opting to become an entrepreneur, I served as a Director for Nortel, where I was responsible for Cable and Wireless Sales in Caribbean. My 14 years of rich experience in Telecom and Networking arena with specialty in Market penetration strategies, Top line growth, deployment of 2.5/3G networks in various countries, New product Introduction with go to market strategy and Complex Contract negotiations has resulted in strong relationships with key players in both operator and vendor communities in India, Caribbean, Latin America, United States and Asia Pacific markets. After 2 years of stint at Siemens, I joined Nortel Networks. My Sales leadership has been demonstrated by delivering revenue of US$100M in a country with a population of 1.3M people for two consecutive years while at Nortel. I completed various Leadership and Management programs while working with Nortel. I joined a week’s workshop on Executive Management Program in Finance with the prestigious Kellogg School of Management. The job was basically in Siemens Telecommunications. At that time there were very few multinational companies in India. 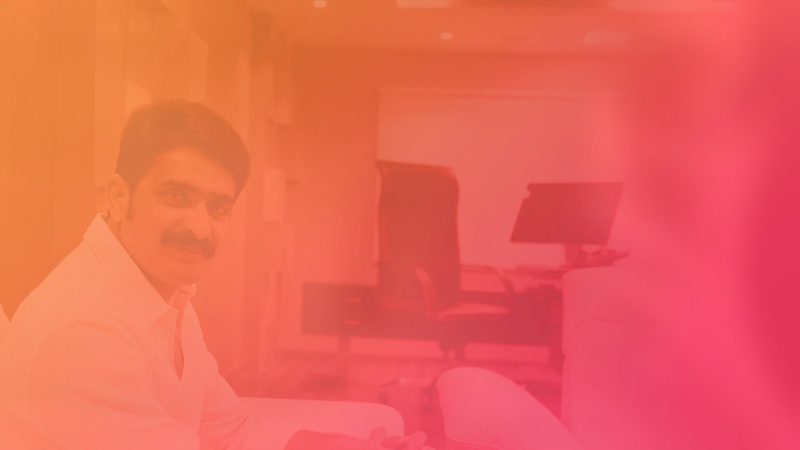 In this company I rendered extraordinary and excellent services in the field of Digital and Telecom services. Ever since then, I never looked back. My career advanced from strength to strength and attracted offers from multinational organizations from across the globe. 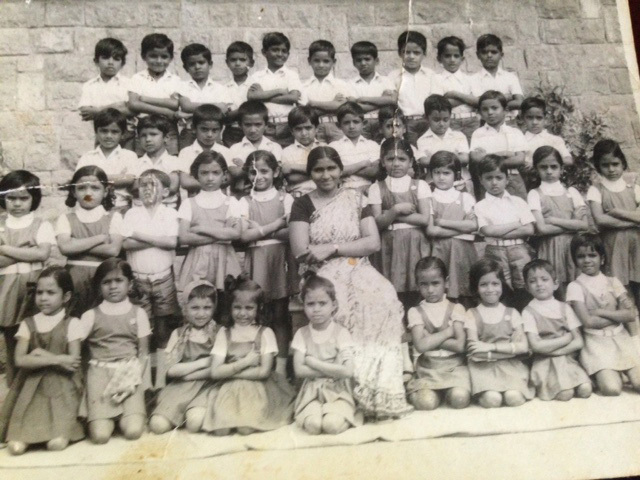 I graduated from the Delhi College of Engineering in 1993. I had started preparing for Civils, when most unexpectedly I received a placement offer from one of the world’s prestigious international companies. Under these unavoidable circumstances I took steps towards the western world. During the final year in college, I displayed brilliance and mastery in subject, and was selected for a high post in Siemens, the multinational giant corporations. 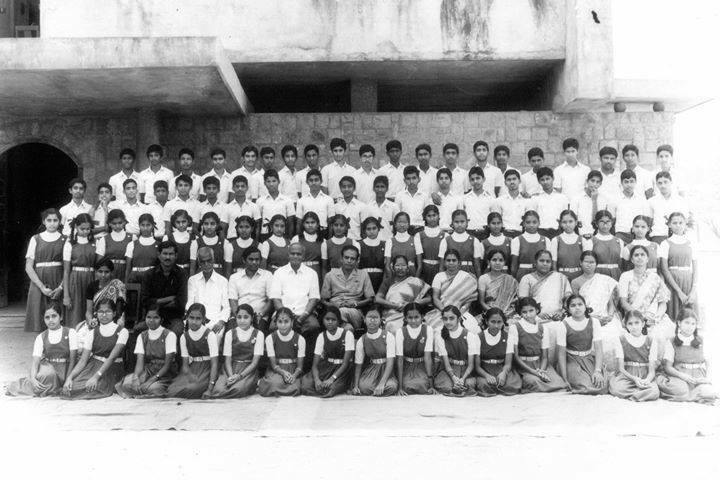 For the first time in India the Digital telephone Exchange was being implemented and from the entire, North India, Delhi IIT Kharagpur, and Delhi College of Engineering, only on 4-5 students were selected and I was one of them. 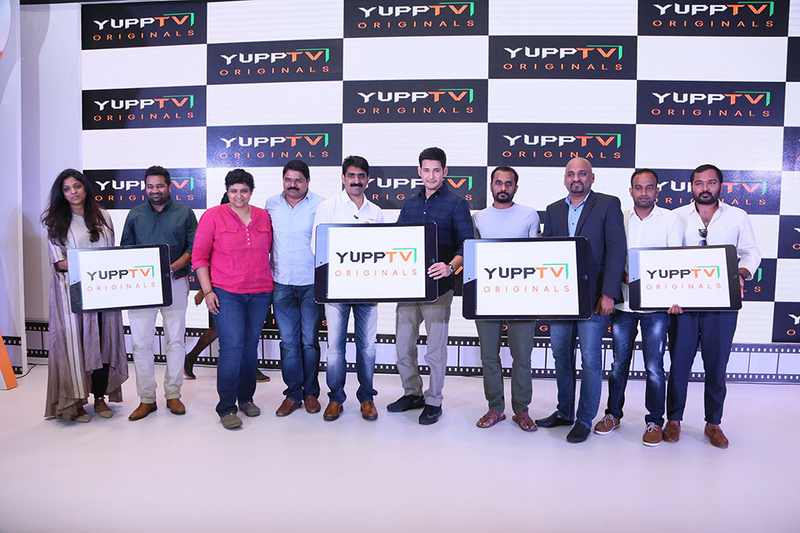 YuppTV is not any miracle or a Eureka. It was a business driven by the demand. Indians live all over the world. It is a fact that in Trinidad and Tobago 45 percent of the population consists of Indians and they had no access to Indian Television content. TV is great source of one’s culture. And Indians so far from their country needed a medium to connect to their culture. Having thought this I started my company, Global Take Off. 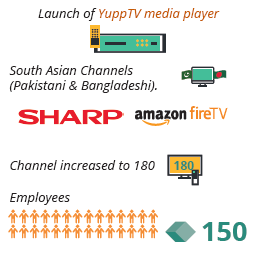 When YouTube was launched in 2005, I started YuppTV in 2006. It’s Live TV. I envisioned in a company that converges technologies in providing a virtual home based access to Entertainment, information and communication anytime, anywhere across the globe. 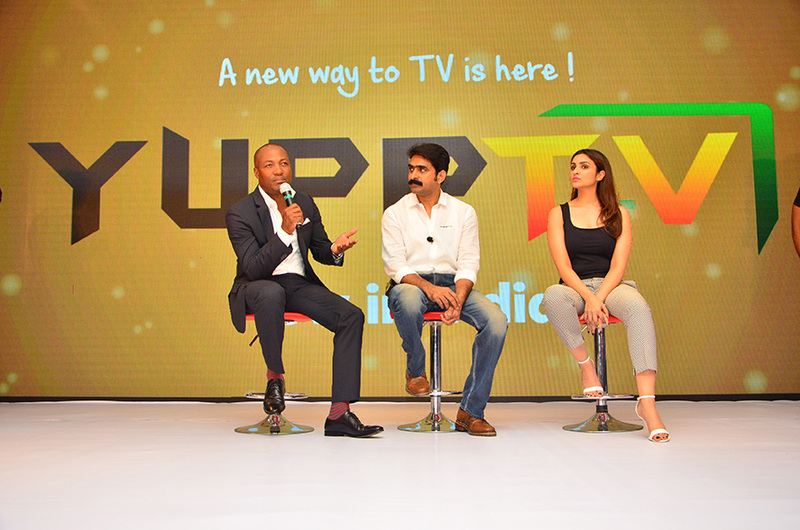 And YuppTV came into existence with an identity that was possible only through continuous expansion and innovation. 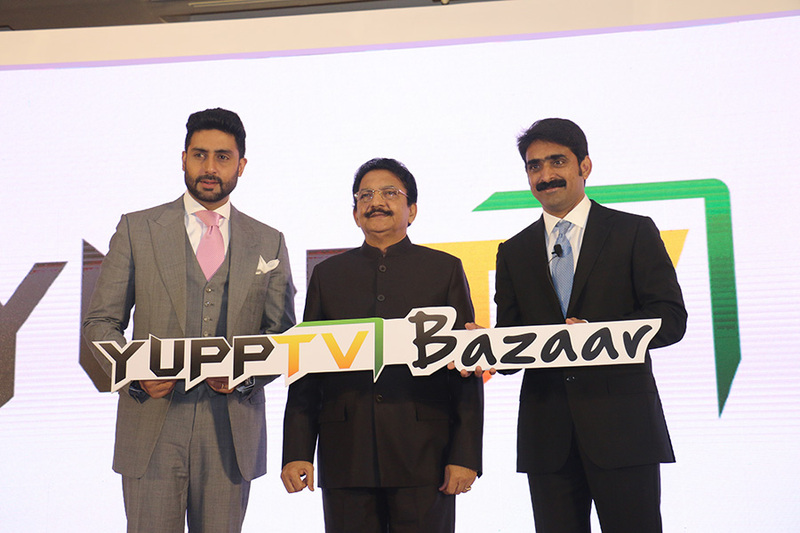 Launch of YuppTV in Singapore , Malaysia and Midle East along with launch of Srilankan Channels. Launches application on Xbox 360. There are people in all our lives who inspire and change us and they also become our role models. I am blessed enough in my life to have incredible parents and have had amazing grandparents. 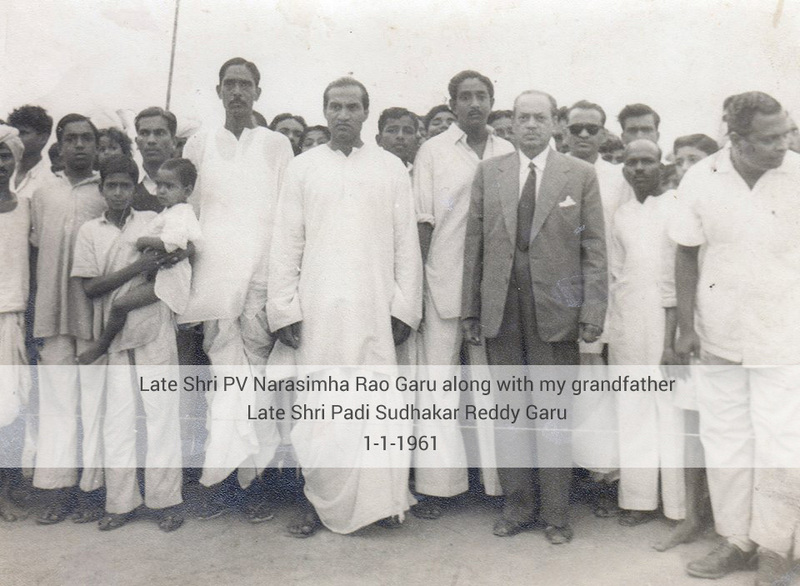 But I was really blessed to have one truly inspirational person, my grandfather, Mr. Sudhaker Reddy Padi. 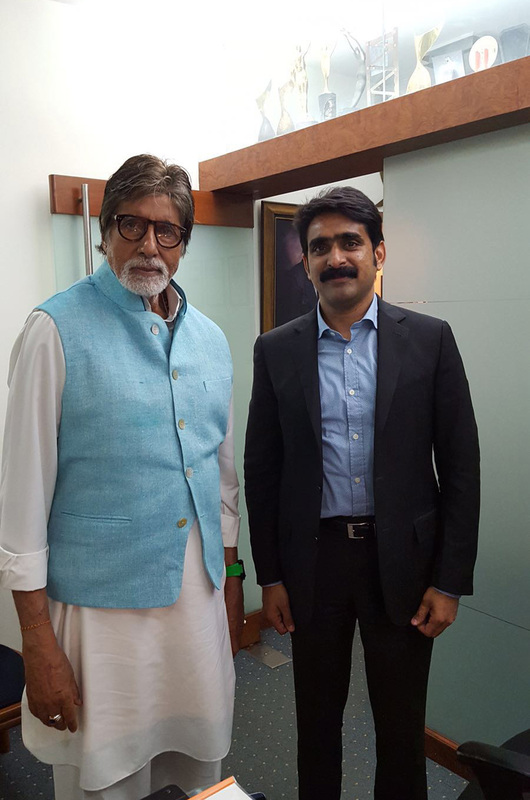 Agriculturist and a great Philanthropist. Everyone in the village looked upon him as the head of the family. 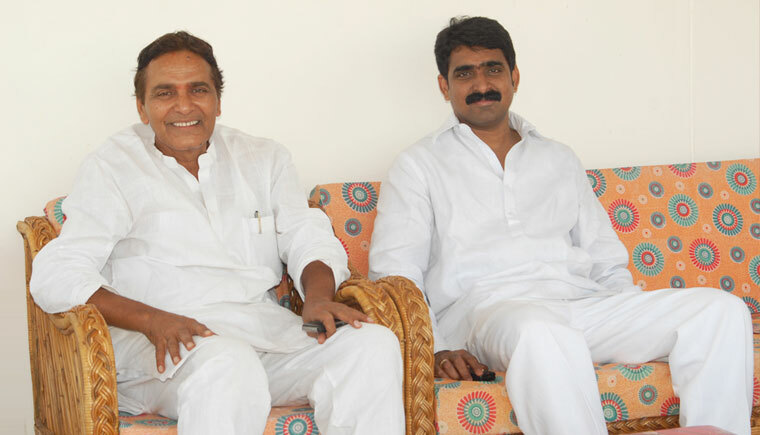 He had left no stone unturned in developing the village in every aspect. Be it health care, education, irrigation or infrastructure. My growing up years, I spent most of my summer vacation with him. He involved us in all the things that he did and thus he had left a remarkable impression on me as a child. He instilled in me the feeling that no matter how successful you are you have a responsibility to help others. 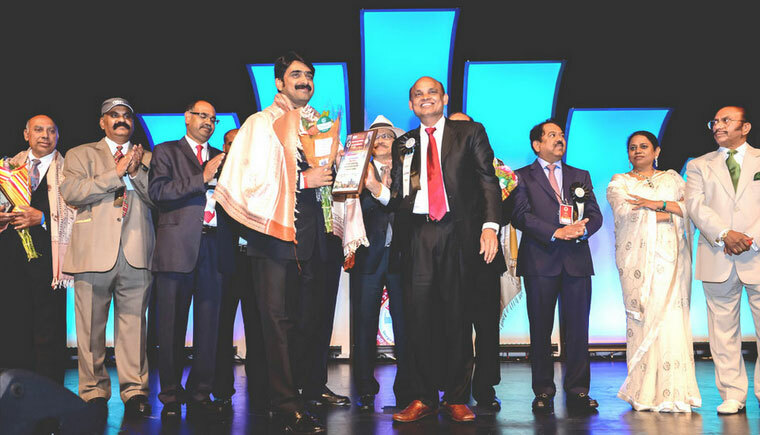 In an endeavor to reduce the socio-economic disparity between rural and urban sectors and simultaneously increase the percapita through the introduction of technological infrastructure into the rural sector, Modernvillagevision2020.com was born. 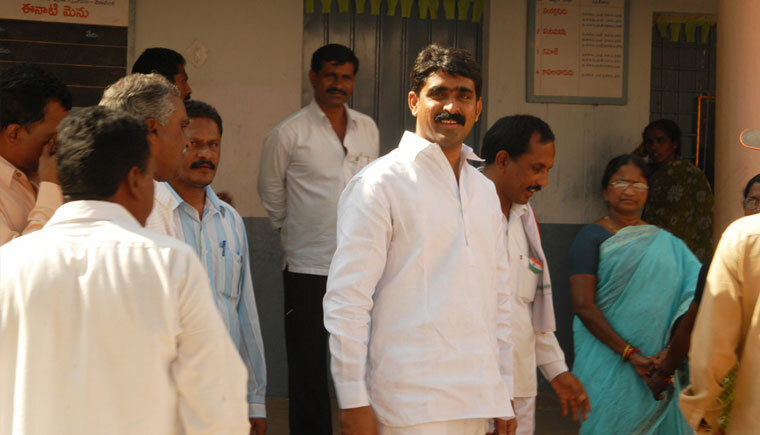 A focused attempt has already begun in Veenavanka village of Karimnagar District, Telangana. 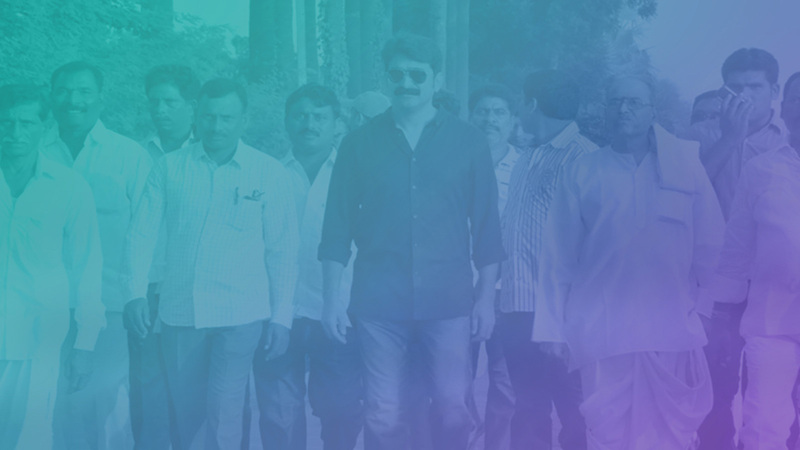 The strategic growth plan in Veenavanka has nine facets which include; Education, Health, Agriculture, Infrastructure, Industries, Service Sector, Training and Micro Finance. Each of these nine facets has been initiated simultaneously to ensure a synergic growth pattern which stimulates the ultimate goal of creating a self sufficient, aware and educated community. 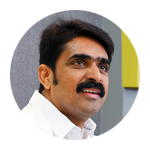 It is a Seven Year Rollout Plan which includes Internet Connectivity, Computer Literacy through online and broadcasted training programs, E- Health Care, use of Optimized Techniques in Agriculture; Development of Agriculture based Industries, Introduction of service industry and Micro Finance. The ultimate Goal is to increase GDP and eventually GDP per Capita. Under free computer education program, every month, 50 students get to learn basic computer programs such as Microsoft Powerpoint, word, excel, etc., along with basic internet usage skills. The same would require more time and more money to go to a computer center and learn. 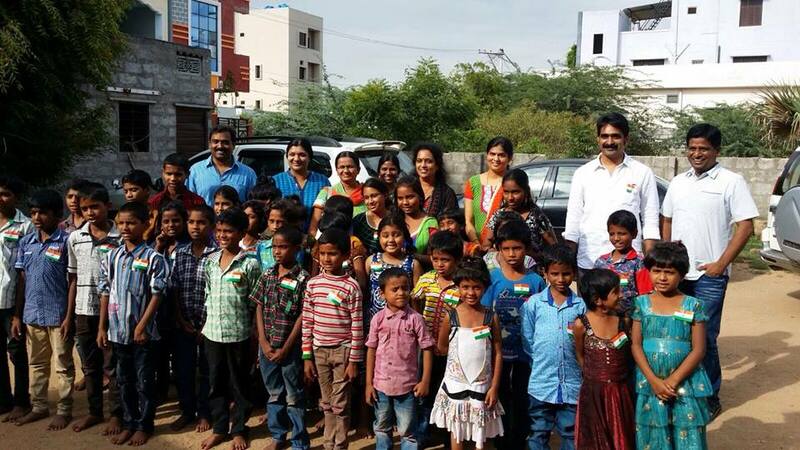 so far 700 children have benifited from the program. Its an ongoing process and lots more is to be added to it. 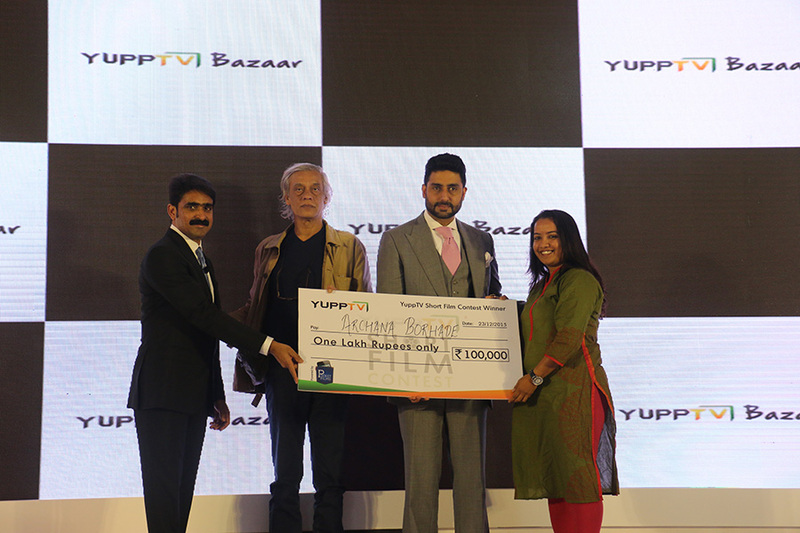 Scholarship (for poor children in veenavanka) an awareness program among the Indians abroad, has been initiated with the help of the portal YuppTV.com. Interested people can go to modernvillagevision2020.com site and can pour in their help, which is used as scholarship for the poor students. They can sponsor a child for his/her education for as long as they can. As former President APJ Abdul Kalam said, “Rural development is our aim and goal” is the inspiration I follow by implementing PURA – Providing Urban Amenities to Rural Areas. 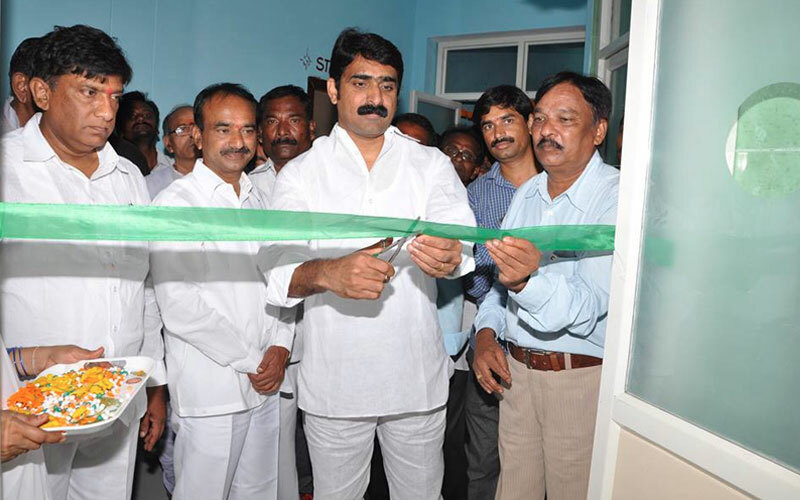 For the establishment of a 30 bed hospital in my village, presently I got assistance, permission and funds released from the government and have also obtained land for the purpose. 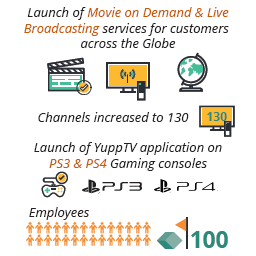 "Think Global and Act Local", To make YuppTV a dynamic leader, a product that transforms the way consumers and businesses converge, lead, deliver, communicate - information and entertainment globally. 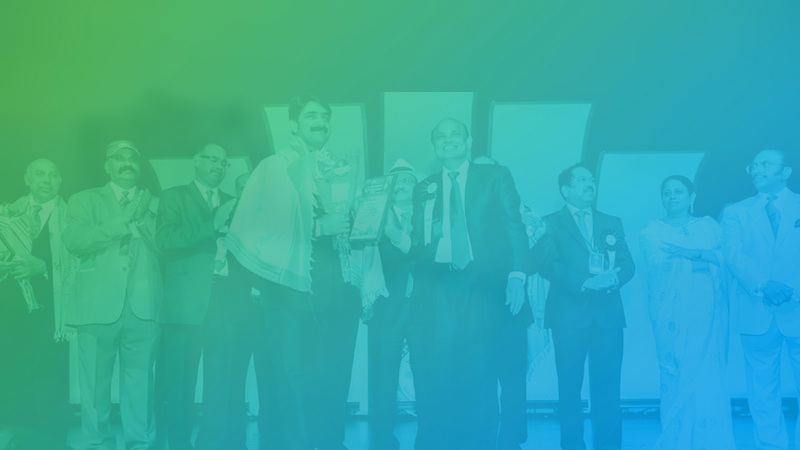 To make every village a Modern Village by practising PURA – Providing Urban Amenities to Rural Areas. The ultimate goal is to create a self sufficient, aware and educated community. Outstanding award for excellence in Media category by NATA in Atlanta. 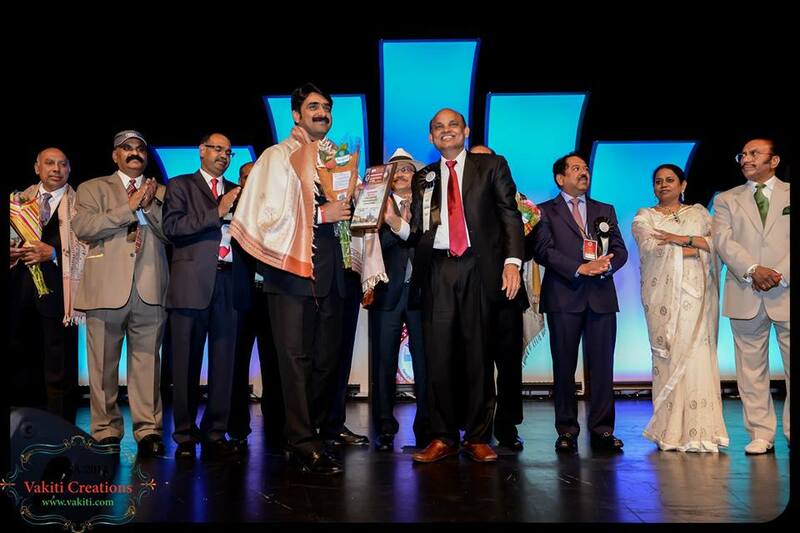 Felicitation by legendary singer Padma Bhushan Sri SP Balasubramaniam. 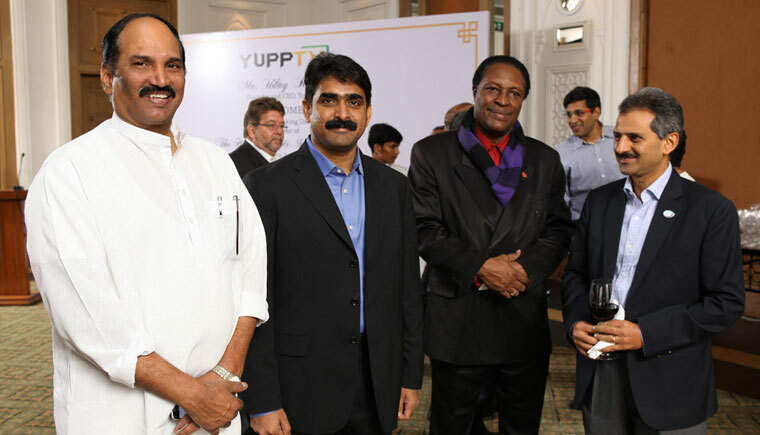 Hyderabad, India and San Francisco, CA,, December 2nd , 2014: YuppTV today announced the appointment of Damon S Johnson, Senior Vice President – Business Development,. As part of his new role, Damon will - lead the development of distribution partnerships and explore, and build new content and entertainment options for the burgeoning over-the-top (OTT) internet TV market. 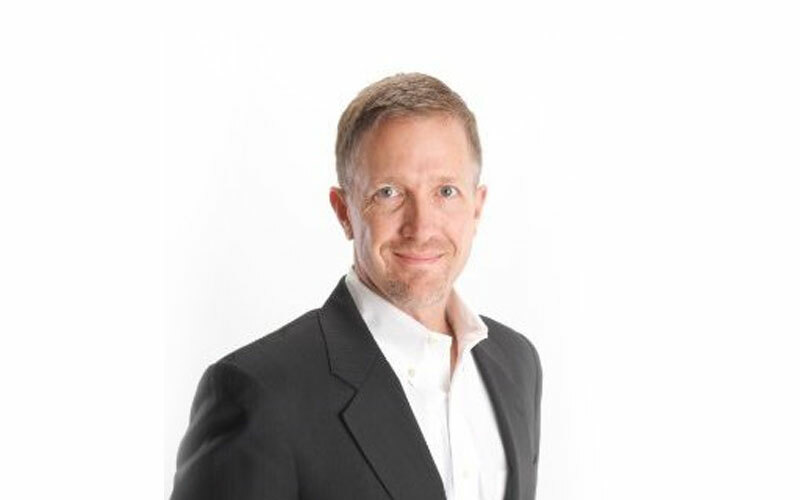 Damon Johnson brings with him over two decades of valuable industry experience having worked in the industry’s leading organizations as an executive responsible for building digital businesses. His passion is found at the intersection where great storytelling meets content delivery; how and when consumers want it. Most recently, Damon Johnson was at PlayStation where he led Sony's efforts to build an OTT entertainment platform. As an early believer in OTT, he joined PlayStation to establish the Media and Entertainment group where he successfully led a team that negotiated with Netflix, Amazon Instant Video, Redbox Instant by Verizon, HBOGO, EPIX, Disney, ESPN, DirecTV, DISH, NFL, MLB, NBA and NHL to build the industry’s leading OTT platform on PS4, PS3, VITA and VITA TV. Prior to PlayStation, he was responsible for building the digital media division for Fox Sports in Latin America. 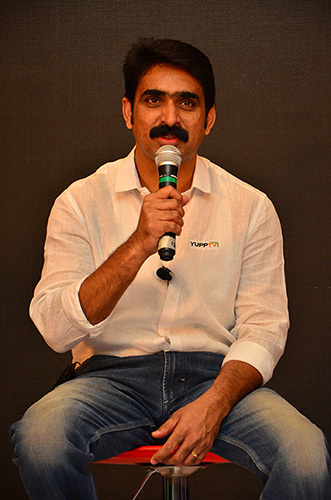 “I am delighted to accept the appointment of Senior Vice President –Business Development at YuppTV, an organization that has built the world’s leading OTT service with 200 channels of Live television and thousands of hours of On-Demand content for South Asian language audiences. 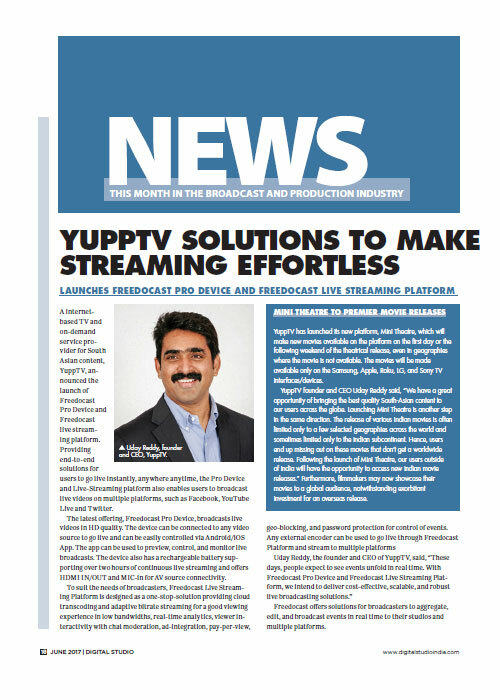 YuppTV’s live linear and On-Demand technology is a disruptive force and I look forward to increasing industry awareness and bringing new content to new audiences”, said Damon Johnson. 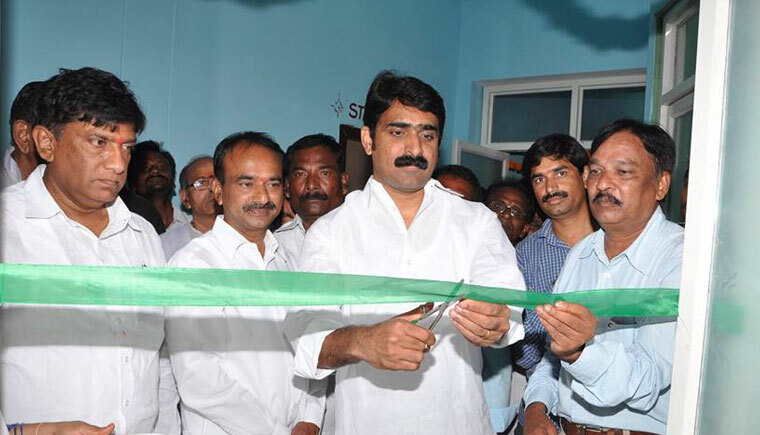 A dream that has come true and has been made possible by the efforts of each and every individual from Veenavanka. Kudos to all of us. 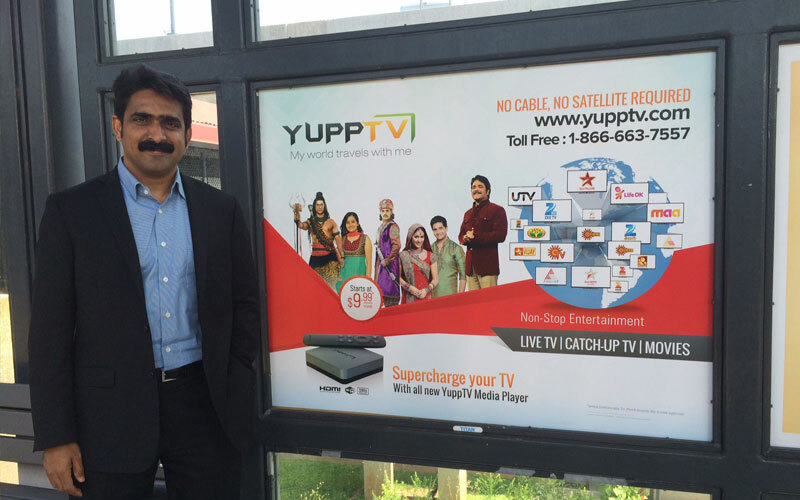 At New Jersey NJ Transit Metro park station with YuppTV ad. 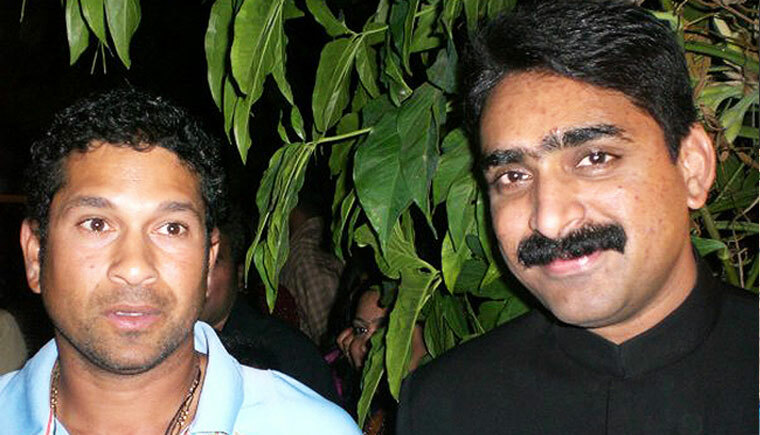 "He Is Bringing India To Your TV Screens". 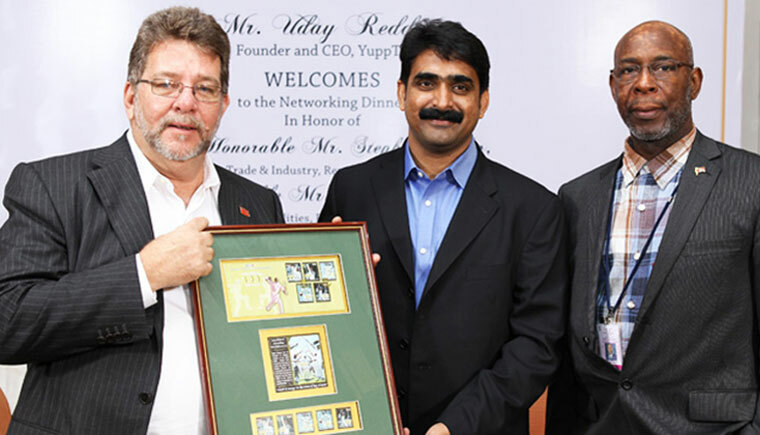 Udaynandan Reddy the founder & CEO of YuppTV article on INDIA ABROAD. 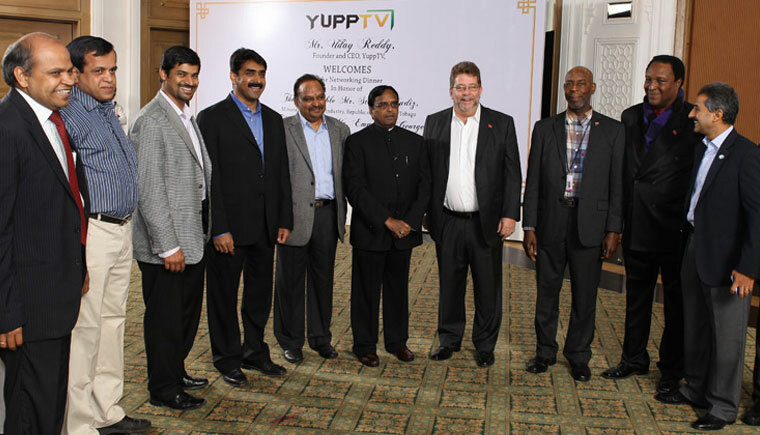 Hyderabad, India and San Francisco, CA,, December 2nd , 2014: YuppTV today announced the appointment of Damon S Johnson, Senior Vice President – Business Development,.